Well, it has been a month since I posted my last status update, because there really isn’t anything terribly exciting going on. I do have a photo for you to show you some “fluffing” I’ve noticed in my right implant, though. As of today, it has been over three months since my exchange surgery and two months since the infection claimed my left implant (see: Houston we have a problem). The implant on my right does seem to be “fluffling,” meaning there has been a slight change in the perceived shape and size of the implant. What is actually happening is my body is changing around the implant forcing it into a different configuration, thus making it seem like the implant itself is actually changing. It is a gradual redistribution of the volume from top to bottom of the implant. The completion of this process may take from three months to a year. Here is the difference in just one month: left = November 13; right = December 13. This entry was posted in All, Complication City, Exchange Surgery and tagged BRCA, Breast implant, breast reconstruction, Fluff and drop, Fluffing, HBOC, health, Plastic surgery, Prophylactic mastectomy, TESSA, Tissue expansion on December 15, 2013 by nope2BC. Positive thoughts coming your way to deposit in your thought bank! Good to know about the fluffing… Mine boobies look good but they just aren’t real breasts! So much volume on top and sides. Although I can tell the sides are dissipating. So I will be patient! I’m hoping as time goes on that they will “move” a little more. Ya know, jiggle! But that may be gone for good… But… hey I don’t have to worry about cancer! That’s what this was all about. Happy Holidays! Thanks, Robin! Glad that yours look good. It seems that changes can be happening as far as 6+ months out. That seems like a very long time to me. 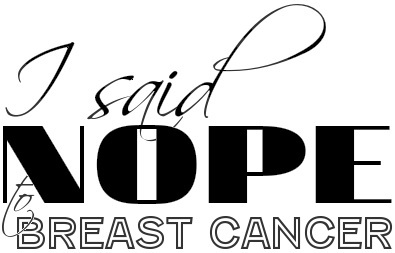 Yes, the best part is not having to worry about breast cancer!! !